Go beyond apples and oranges with our NEW vocabulary lesson on Fruit! This eight-page Word Bank lesson includes a picture dictionary, matchup, word choice, word search, word scramble, and spelling bee. 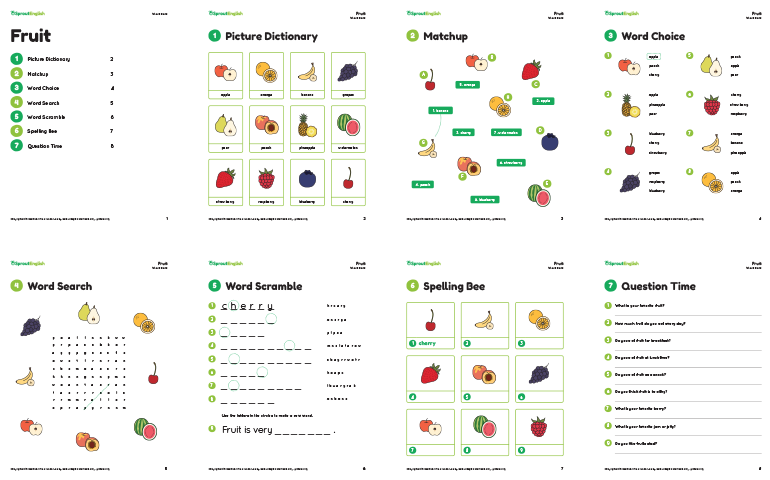 Young learners will learn and practice the names of 12 common types of fruit. Discussion questions at the end allow your students to practice the new vocabulary in context. Find this lesson in the Word Bank – People, Things, & Time.